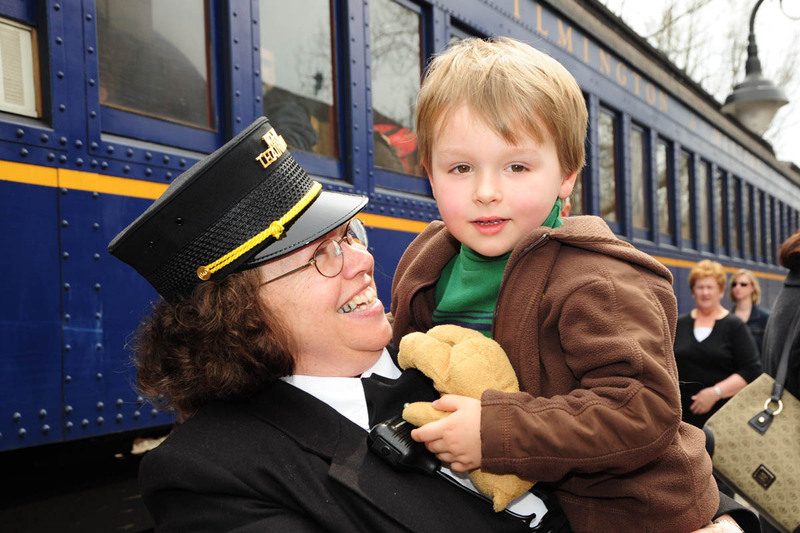 Bring your school or day camp group for a leisurely train ride. The story of the Wilmington & Western Railroad and its impact on life in the Red Clay Valley is told to the young railroaders aboard for this 45-minute train ride. Bring lunches for the kids in your group and you can enjoy the shaded picnic tables at Greenbank Station after the ride (this train does not stop at the Mt. Cuba Picnic Grove). This event is focused on school and day camp groups, but is also open to the general public, space permitting. Operates select Tuesday mornings, April thru August. Click the "Purchase Tickets" button above for exact dates. HRCV Member Fares are not available for this event.